B.A.R Honda is making some exciting additions to their team for the 2006 season. 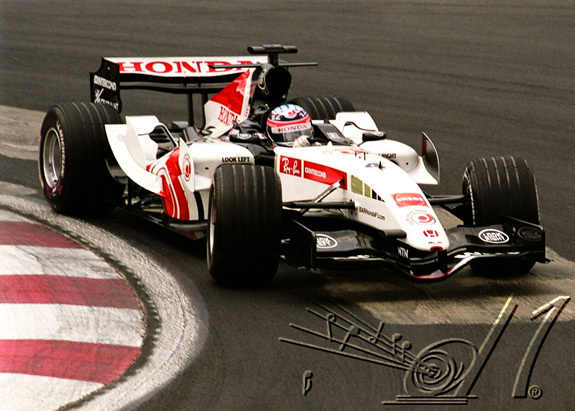 Last month B.A.R announced the addition of Rubens Barrichello to their team. Barrichello will officially leave Ferrari and become a member of the team January 1, 2006. Jenson Button recently agreed to extend his contract with B.A.R. Honda. Button’s decision to remain with B.A.R. Honda met with some difficultly as Button had a contract with BMW Williams for the 2006 season. The tension over this contract concluded with Button having to buy out his contract with BMW Williams. Button’s move to B.A.R. has now created a space on the Williams team next season. Takuma Sato‘s, Button’s team mate on the B.A.R. team, has now found his future to be uncertain. He is currently negotiating with B.A.R. Honda.